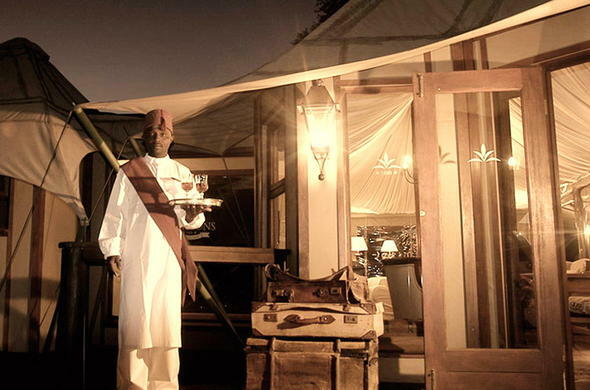 The finest Africa has to offer Exclusivity and designed to accommodate individual requirements. The ultimate in personal service and exclusive wildlife experiences. Premier travel utilizes intimate hideaways that often offer you services like personal chefs, the best professional guides and luxurious transport. Usually situated in the best concessions and locations. Generally 6 Star plus and very expensive. Extravagant. For a superior safari where travel does not mean sacrificing comfort. Exploring Africa's most spectacular destinations in style, then our deluxe packages are for you. You will stay in some of the most exquisite accommodation, those establishments committed to providing one with a quality wildlife and adventure safari experience. Travel in comfort by road or air, whilst still experiencing the spirit of the destination. The food will be exquisite and most meals are included. A truly original travel experience. Generally 5 star in excellent locations. Classic tours are a perfect way to experience the culture, wildlife, history and highlights of a destination, with a level of comfort and organization that allows you relax and enjoy an authentic travel experience without having to rough it. Expect accommodations handpicked for their great locations, upgraded amenities, facilities and service. The majority of meals are included in the package fare with an occasional optional dinner in locations where there is a good choice of local restaurants.Activities included on the itinerary are core tour experiences or highlights and usually primary reasons for booking in the 1st place. While this service level offers a greater number of inclusions — it still offers the flexibility to do your own thing. Depending on your itinerary, you'll get around in Safari Mini Vans, Land Cruisers, Land Rovers; Custom built safari vehicles, trains and planes.Optional single supplements are available on all Classic Tours. If you are a single traveler and do not choose an optional single person supplement, we will try to match you with another single traveler. If we are unable to match you satisfactorily with another single traveler we do require a single supplement to be paid. Generally - comfortable affordable accommodation 3-4 star level. Immerse yourself in the African wilderness separated only by canvas like an explorer of old, possibly the ultimate way to experience Africa. Get under the skin of the world's most exciting continent through in-depth encounters with the local community. Adventurer tours utilize a combination of great campsites with some nights on a twin-share bases in hotels and lodges where we utilize comfortable tourist class establishments with en-suite bathrooms, running hot water, welcoming restaurants and other facilities. Accommodation that reflects your destination's character. Our Adventure tours offer great value for money, and are pretty much all-inclusive, so whilst they may seem a bit more expensive than our competitor offerings, travelers are encouraged to compare in detail. We utilize insect proof 2.5m x 2.5m canvass tents with plenty of room to stand up in. These tours require very little participation in everyday chores and with small groups assisted by two and sometimes three experienced crew we are able to provide you with an excellent guided safari.Adventurer safaris are about pushing one´s mental and physical boundaries within individual capacity, whilst making sure there is always time to relax. Adventurer tours are exciting and allow travelers to step outside of their comfort zones in a safe way, from unique tribal encounters to hot air ballooning, overland travel, township and ghetto excursions, game viewing, trekking, bungee jumping, mountain biking and white water rafting.... Of course, you'll retain local color with some travel by public transportation but most often you'll enjoy the convenience of private custom built safari vehicles. In locations where travelers like to have the choice of what they want to do, activities and excursions have been left as optional.Meals are pretty much included on all days and prepared by your guides. The food is simple, wholesome and healthy. Your "expert" cook is sure to throw in some traditional African cuisine. Special diets can usually be catered for - just let us know your requirements in advance. Travellers on our Adventure tours very often tell us that the food is excellent, preferable to hotel meals, and always plentiful.On these tours you have the option of paying a single supplement and staying on your own. If you are a single traveler and do not choose an optional single supplement, we will try to match you with another single traveler. If we are unable to match you satisfactorily with another single traveler we do not require a single supplement to be paid. Generally 2-3 star and small group - is not budget overlanding. Explorer Safari. To Boldly Go! This is grass-roots pioneering travel limited only by your imagination where Africa is an open book. The richest travel experiences often come at a competitive price and sometimes for free! Embrace Africa like a local along with the security and convenience of small group travel. Jump on colorful matatus, taste authentic cuisines at side street cafes, play soccer on a beach and discover the rich culture from day one.We have covered the basics of your tour but you have the ultimate freedom and flexibly to carve your own path and choose your experiences and activities on a day to day basis. Spend your nights camping under a blanket of stars and warm your hands on a blazing camp fire. Facilities and bathrooms will be simple but clean and well kept. You will have had a personalized experience that no one else can ever relive; and that is a treasure that deserves to be called rich.When it comes to getting around, public transport is sometimes the best and most colorful way to go. Alternatively, travel is by private mini-bus, coach and custom built overland safari vehicles. Generally 2 star - overlanding - participatory camping, sometimes dorm rooms and shared ablutions.